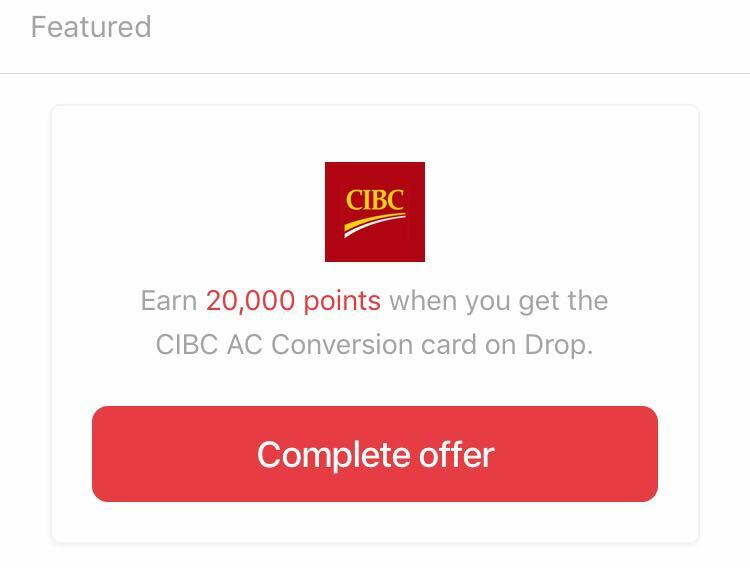 Home Drop Canada 【Drop】CIBC AC Conversion Card: Get 20,000 Points for Your Travel! 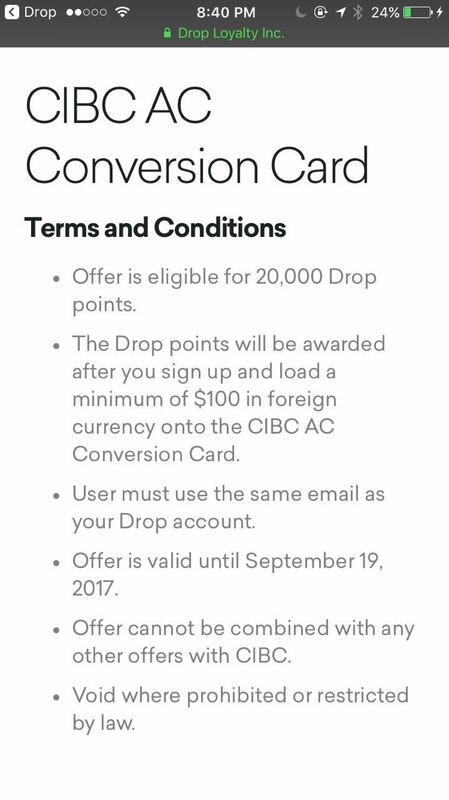 Recently, Drop has launched a featured offer for the users: Load 100 Canadian dollars (or equivalent in other supported currencies) to the CIBC AC conversion card using the link provided in the app, you will be getting 20,000 drop points. Many people may wonder what this offer is about, and how they can make use of it. This post will go through these questions and help you understand this offer better. The card itself is intended to support your foreign currency transactions, and you can default your own spending limit (which equals to the money you load into the card). With this card, you don't have to worry about not being able to withdraw cash from ATMs outside of the country, nor would you be charged excessive foreign transaction fees with most of Canadian credit cards. I think it is a very convenient card for you to use if you are travelling in other countries. Now Drop has something special here: you will get 20,000 drop points if you apply for this card (this is not a credit card, so no hard inquiries will occur) and load at least 100 dollars. With the huge flexibility of drop points, you can redeem gift cards with many merchants. If you haven't signed up for Drop yet, you can find our introduction of this amazing app here, kindly use our referral code: phdguy, so we will both have extra points (now it is 1000 points for each referral). Sharing the offer is an amazing and unique feature to Drop, and I have mentioned this in a previous post: learn more about sharing the offers.